1. Neutrogena BB Cream. This stuff is fantastic! It gives a light coverage, but is buildable if you want more. Personally I just add a bit of concealer to areas I think need more coverage. It's got SPF 30 in it, no smell and supposedly also does a slew of other great things for your skin. In my opinion, the only downside is that it can give a little too much of a sheen, giving you an almost sweaty appearance if you go too heavy-handed with it, but other than that it's fantastic! 2. Unite hair perfume/color protectant in "Alanna" This is totally unnecessary, but I love it! First off, it smells incredible! I don't even know how to truly describe it other than upscale Hawaiian. Not cheesy Hawaiian scents, like you'd find at the ABC Store, but almost like fresh plumeria scent. It's yummy! I also love it, because it's basically a sunscreen for your hair, which is awesome for gals like myself who pay big bucks to keep their natural color ;) If you're local to me, you can buy the entire Unite line at Tousled Salon in Pleasanton - you cannot go wrong with any Unite products! 3.Alaffia African Black Soap - peppermint scent. This is pretty inexpensive for a giant bottle (I buy it at Whole Foods) and can be used as body soap, shaving cream, shampoo and more. I really love the peppermint scent because peppermint is naturally cooling, which is great for the summertime. It also helps me wake up! 4. Nars the Multiple in Na'Pali Coast. This little stick is awesome! I got it for my birthday and have been using it just about everyday since. It's a peachy rose, with a bit of shimmer that looks really beautiful and fresh-faced, especially when paired with the neutrogena bb cream, and just a few coats of mascara! 5. ALL things by Sun Bum! I adore this line! Really awesome sunscreens, after sun products and sun protective lip balms. Everything smells ridiculously good, and protects ridiculously well! My family and I just love this brand! I'm dying to find their coconut lip balm, so let me know if you guys have seen that one in stores! 6. Yes to Coconut wipes. Anything coconut-scented is going to be a winner in my book, at least on some level, but not only do these smell like coconutty perfection, but they remove all traces of makeup in a quick swipe. They're pretty fab! 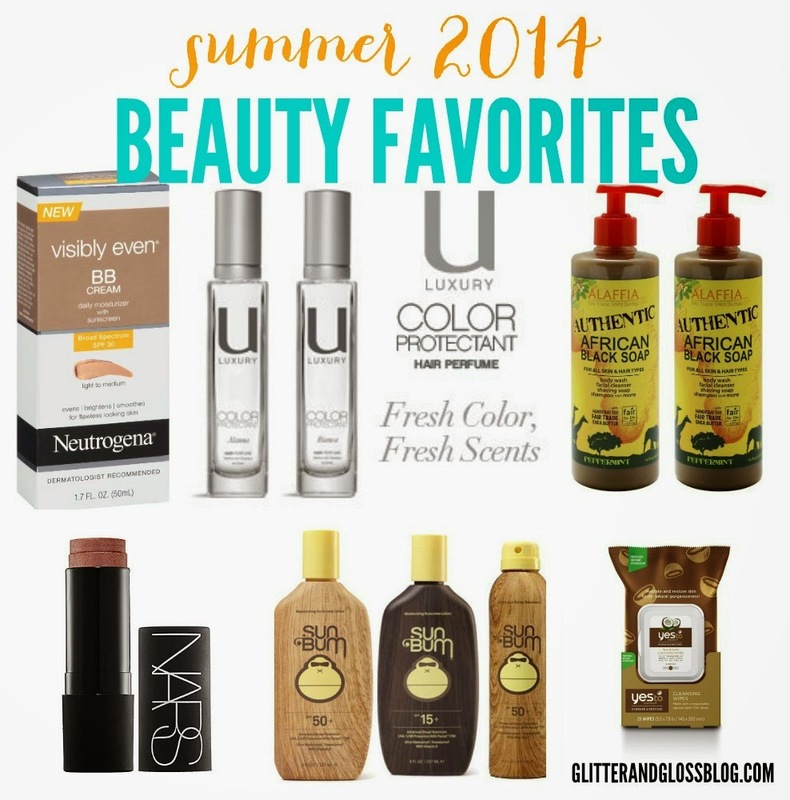 What are some of YOUR favorite summer beauty products? ?